Molly Noble Bull was born in Kingsville, Texas—home of the famous King Ranch, and her father and maternal grandfather were real Texas cowboys. So does she write westerns? Yep. But she also writes long historical novels like Gatehaven, her long Christian gothic. Gatehaven won the 2013 Creation House Fiction Writing Contest while still a manuscript. But Molly’ first two published novels came out from Zondervan. Her Zondervan novels were later reprinted and published as Promise Romances from Guideposts. Molly also sold novels to Steeple Hill, and Tsaba House, and Westbow Press published The Overcomers: Christian Authors Who Conquered Learning Disabilities, a non-fiction book she wrote with four other Christian authors. Molly owns the rights to her Zondervan romance novels now, and she will soon self publish The Rogue’s Daughter as a e-book. Rogue is a western set on a South Texas cattle ranch in 1890. Learn more about Molly and her books HERE. Have you ever known a teenage girl so in love with love and a bad prince charming that she was unable to see her true prince? If so, you will connect with Shannon Aimee as she and Ian Colquhoun battle an evil Frenchman with dark secrets and evil desires. 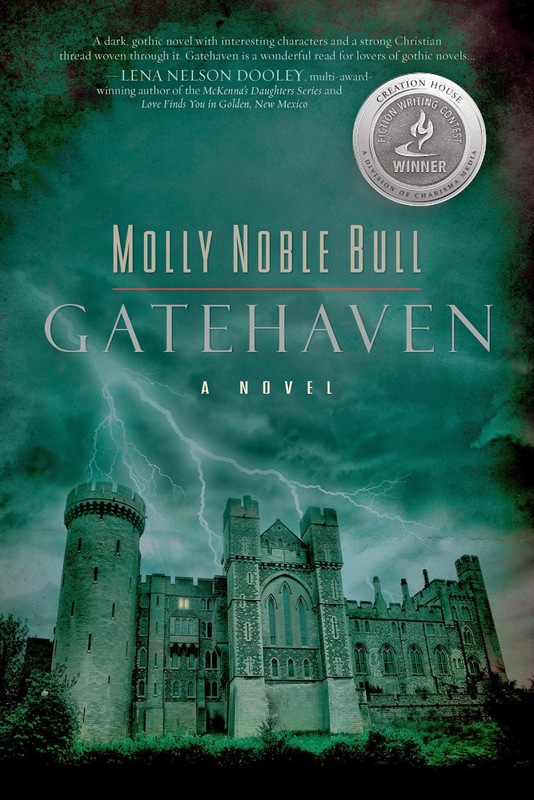 Set in Scotland and a scary mansion in the north of England and ending in the state of South Carolina in 1784, Gatehaven by Molly Noble Bull is a Christian Gothic novel that will keep your reading until the very end of the book. Watch my book trailer for Gatehaven HERE. Some add sugar to their cornbread. We don’t. We love cake and cookies like anyone else. But we don’t want our cornbread to taste sweet like cake. I cook my cornbread in a black cast-iron skillet like my Mama always did. Before I pour the batter in, I pour just enough cooking oil in the bottom of the skillet to wet it down real good. Then I add about a tablespoon of cornmeal to the oil, mix it around and let it cook there on the top of the stove until the skillet gets really hot. My late mother-in-law taught me this trick, and it makes the bottom of the cornbread real brown—just the way we like it. Then I add the batter, and pop that skillet in the oven at around 450 degrees. Preheat oven to 450 degrees. In medium bowl, combine cornmeal & dry ingredients. Add milk and eggs and stir. Add Olive oil and mix thoroughly. Pour into a 10 inch cast iron skillet. (see tips above.) Bake 20 to 25 minutes or until golden brown and the edges of the cornbread pull away from the side of the skillet.